People often wonder what professional proofreaders use for research, so I thought I’d share twelve that I reference regularly. These are the print and online editorial resources that are invaluable to me as a proofreader and editor. They’re what I use to do the majority of my research for various kinds of content, including blog posts and books. I recommend you use them as the foundation of your proofreading arsenal. Some of these I access every day—the rest at least a couple times a week. These are also the standard resources for publishing houses, publications, editors, and writers. Proofreaders are expected to be familiar with the first two on the list, The Chicago Manual of Style and The Associated Press Style Book. And since they’re an indication of your knowledge of language and proofreading, I also go over them in detail in my course Proofreading Pro. This is the “bible” style book of the editing world, and a must-have for every proofreader. Chicago addresses word usage, grammar, punctuation, citation, numbers, and formatting. Basically everything related to printed words and then some. Available in print or online (paid subscription). There’s also a free 30-day online trial available. Note: the 17th edition was just released, but you can absolutely still reference the 16th edition if you already have a copy. Also affectionately known as “Strunk and White” after its authors, this classic style guide strives to teach people how to write in plain English. It’s not as extensive as Chicago or AP, but it’s a good read, and widely regarded as one of the most influential books on English style. Psst. Want to learn even more about proofreading? Sign up for my FREE 5-day intro course, Proofreading 101, and find out what it takes to go pro. This book sets the standard of documentation style for colleges and universities, publishing houses, academic publications, scholars and students, and websites. You should reference this book if you’re proofreading any content that is academic or research based. 6. Merriam-Webster’s Collegiate Dictionary , 11th ed. This is America’s bestselling dictionary and the definitive one for any kind of content, including academic (it’s also referenced in Canada). It includes abbreviations, biographical names, and foreign words. The free online edition also has a thesaurus, illustrations, and tables. There’s also an app version that can be accessed offline. I use this dictionary when I’m working with UK or Canadian English. You can purchase the book or access the free dictionary online. There are also foreign-language dictionaries in 28 languages, which I use whenever I have to look up foreign words or phrases. You’d be surprised how often idioms are used in everyday content, such as “cat got your tongue.” I reference this dictionary a few times a week when I’m proofreading blog posts or books. It gives you the history of idioms and the correct phrasing and usage, as well. It’s no longer published in book form, but you can access the extensive knowledge base online for free or subscribe to gain access to all of the features. A wonderful tool for researching practically everything about anything. BuzzFeed updates their free online style guide weekly, and it’s my preferred source for looking up words that pop up online, as well as in popular culture. As one of the biggest contemporary news sites in the world, BuzzFeed’s style guide will keep you abreast of the newest words floating around in cyberspace. Wanna know what the cool kids are saying? Or you came across a word that can’t be found in Webster’s? Chances are you’ll find it in this free online dictionary that’s trusted by many proofreaders and editors to keep them in the know. I use this site a lot when I’m proofreading YA novels or content written for teen- and college-age kids. IMDB.com is an online resource for tv, films, actors, actresses, and all things related to the entertainment biz. This is the authoritative site for checking movie and tv show titles and correct spellings of names. 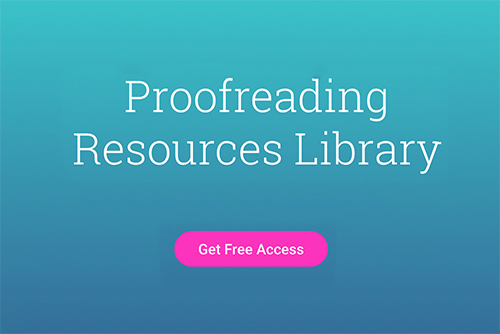 Proofreaders just need to access the free info—no need to pay for premium membership. I actually use Macquarie’s quite a bit since one of my clients publishes Australian fiction!